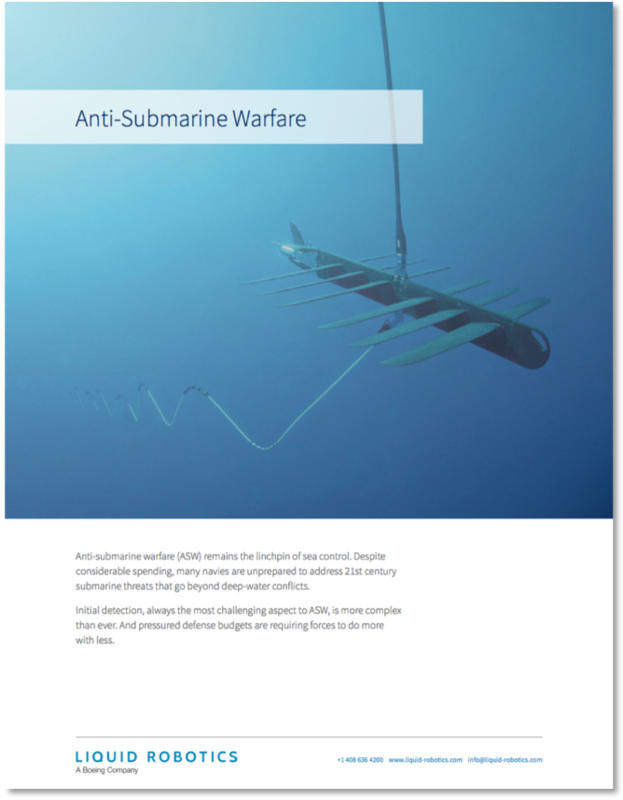 Anti-submarine warfare (ASW) remains the linchpin of sea control. Despite considerable spending, many navies are unprepared to address 21 st century submarine threats that go beyond deep-water conflicts. Initial detection, always the most challenging aspect to ASW, is more complex than ever. And pressured defense budgets are requiring forces to do more with less. Get this brief to learn how the Wave Glider platform provides a revolutionary approach to this problem.